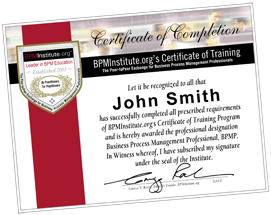 The Agile Business Analysis Certificate is tangible evidence of having completed this industry leading program for agile business analysis. Your Agile Business Analysis Certificate proclaims your knowledge about business analysis in the agile environment. 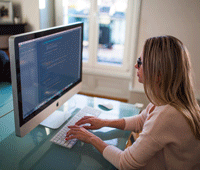 Completing the Agile Business Analysis program of study is a strong differentiator. You’ll gain competitive advantage with business analysis skills and create more opportunities for yourself. In addition you will learn valuable techniques that will help your company’s implementation of agile. 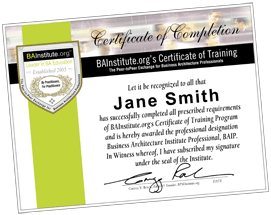 Why Earn Your ABA Certificate? 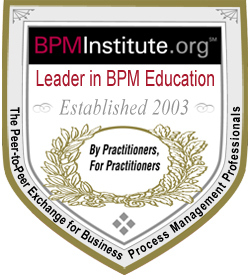 Established in 2003, BPMInstitute.org is the leading provider of Agile Business Analysis training. 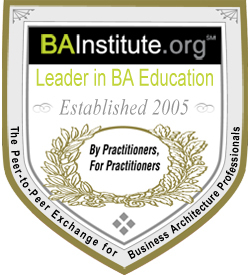 The Institute has been recognized by Forrester Research as a leader in training. This new program of study continues that tradition with solid agile basics specifically geared to business analysts and many techniques to help you and your company excel in your agile implementation. This is a three-course, four day program. Complete all three courses in the Agile path. Please consult the Learning Paths as a guide. Save a bundle your certificate. Choose between four packages. 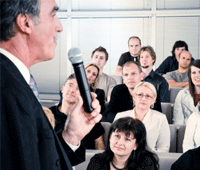 Each one gives you four course credits and one year professional membership. LIMITED TIME OFER: We are offering the Agile Business Analysis eLearning package for $2,124.15 for a limited time. Call for details. (508) 475-0475 x15.